By Xah Lee. Date: 2016-12-18 . Last updated: 2018-03-24 . 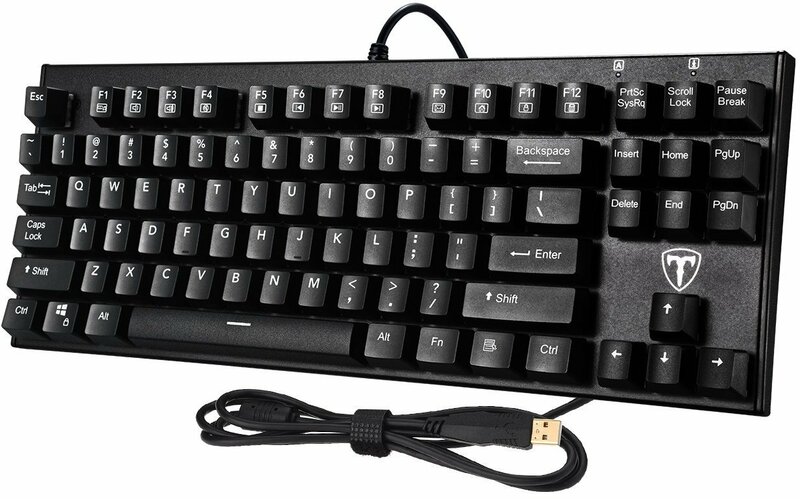 This is a cheapt mechanical keyboard. 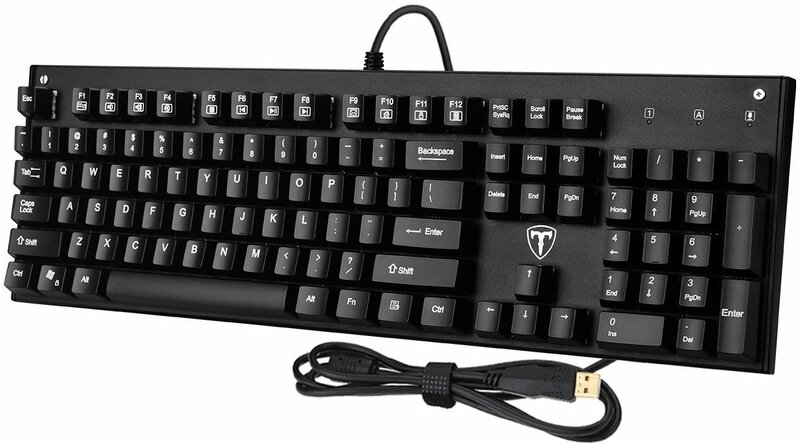 Can be a good first mechanical keyboard. This one first appeared on amazon in November, 2016. 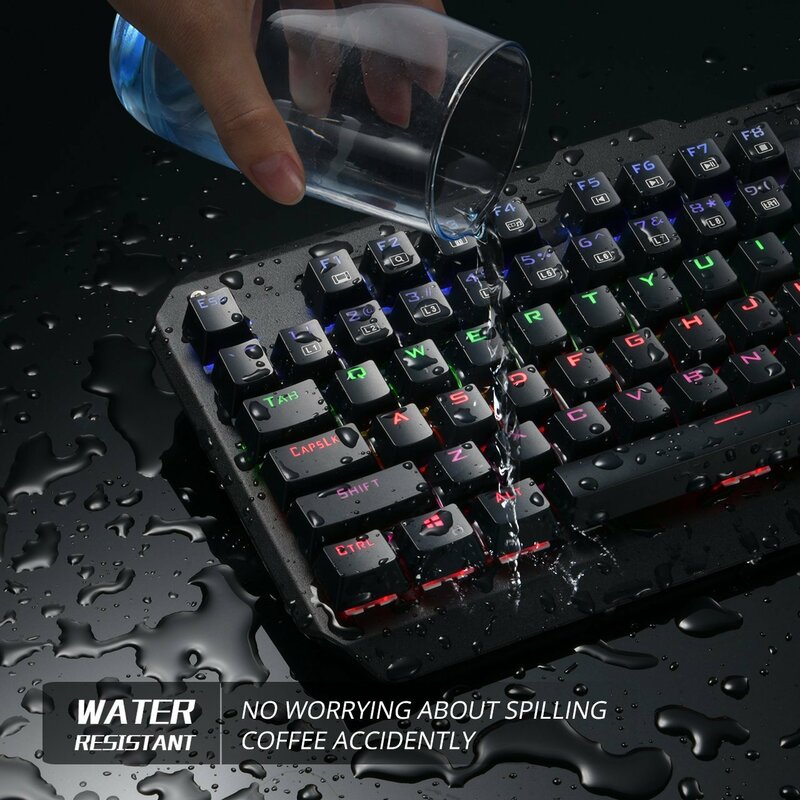 104 Keys Anti-Ghosting: this mechanical gaming keyboard allows multiple keys to work simultaneously, providing gaming-grade responsiveness with high speed, great for typist, programmer, writer, gamer and etc. Note: this keyboard is cheap. But i haven't heard horror stories. The brand/seller seems quite solid and honest. From the reviews i've seen, also good. The keyboard has metal frame, and is heavy. Note: the “blue switch” is Cherry MX compatible, probably a Chinese made, but i haven't checked which company made it exactly.